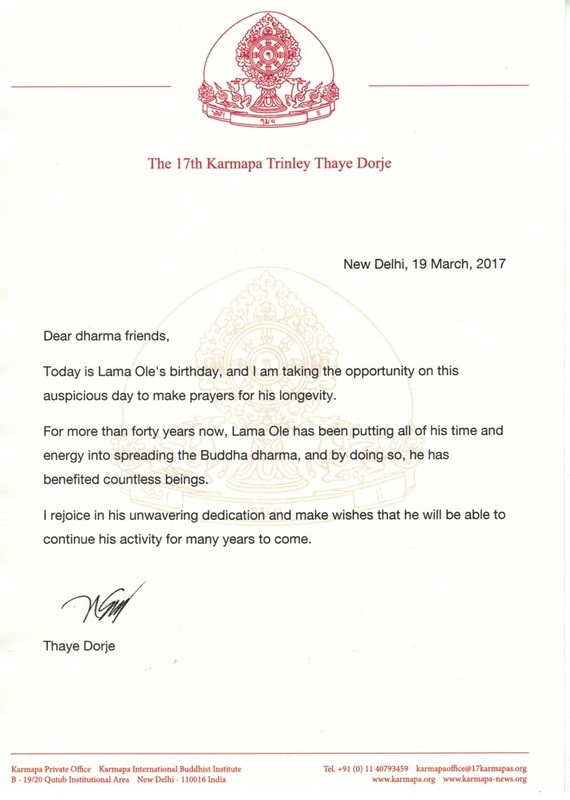 Thaye Dorje, His Holiness the 17th Gyalwa Karmapa, shares the following message on the occasion of Lama Ole’s birthday. Today is Lama Ole’s birthday, and I am taking the opportunity on this auspicious day to make prayers for his longevity. For more than forty years now, Lama Ole has been putting all of his time and energy into spreading the Buddha dharma, and by doing so, he has benefited countless beings. I rejoice in his unwavering dedication and make wishes that he will be able to continue his activity for many years to come.